Confession time: I made a Halloween playlist about 7 years ago and I’ve recycled it every year since. I figured, “Hey, who’s gonna remember what I played a year ago?” Well, if not them, then me. I pulled out my trusty Halloween mix, and I just couldn’t do it this year. Not entirely anyway. Truthfully, this new playlist is only about 50% new. But once I ditched Monster Mash and Thriller, it felt 100% new. Besides, I used to make a joke about imagining being chased my Michael Jackson’s over-eager plastic surgeon during Thriller, and now that being chased by MJ’s doctor is actually terrifying, the joke doesn’t play that well anymore. Time for something new. When I decided to make a new Halloween mix, I tried to go the lazy route, and crib off another teacher’s profile. I searched the web and came up with a few, but I couldn’t make them work for me. Turns out, I’m incredibly sensitive to matching the RPMs I cue to the beat of the song. I know there are strong arguments for letting the training profile dictate the ride, instead of the music. But, asking me to pedal even slightly off the beat makes me crazy – like the reverse of asking someone to pat their head and rub their tummy – I just cannot do it myself, much less cue others to do so. (My compromise is the shift around my music to fit a profile that makes sense.) I did get some music inspiration from other instructors out there, but had to put together my own ride, Lisa-style. It’s not my most favorite profile ever, but I think the Halloween music is fun for this time of year, and you can certainly play it up asking people to name the movie (several songs in this list come from movies), or asking other Halloween trivia, and passing out prizes, or as I plan to do, passing out Glo-necklaces for my night classes. Hope you enjoy – Happy Halloween! 2) The Black Keys – Howlin’ For You – 3:12, 12:52; 67 RPM with some cadence pick ups for RH. Moderate – Hard. Linkin Park – SKIN TO BONE – 2:49. 19:37; 80 RPM, easy-moderate. First recover from hill at easy, then find your way back to a moderate flat, bringing wattage back to where you finished your warm-up or slightly higher, but allow yourself to recover because we have a 17 minute hill next, followed by two short, but very steep hills after that. Lots of climbing today! 5) 101 Strings Orchestra – The Exorcist (Theme from Tubular Bells) – 4:23, 35:51; 74 RPM, SC with 4 passes (picking up 20-30 RPM, maxing at 100RPM – if you can go faster than that, you need more gear!) 1-1:15, 2-2:25, 3-3:25, 4-4:15. Cry Little Sister – The Anix (3:32): Theme from The Lost Boys. This one’s industrial metal; for a dancier version, check out the Mozart and Friends Remix (4:57). Thanks to Jen Ward Horenziak for this one. Maneater – Nelly Furtado (4:19): This song was EVERYWHERE in 2006-07, plus Furtado is Canadian. Thanks to Vicki Greenwood for reminding me of it. (She used the dancier David Garcia and Morgan Page Remix). Swamp Thing – The Grid (7:15): I’ve used the 3:59 Radio Mix a few times, but man, was I delighted to see Vicki scared up (ha!) a longer version with the same driving beat. High intensity intervals anyone? Bleeding Out – Imagine Dragons (3:43): Sometimes evergreen playlists can feel a little tired; this tune will inject an of-the-moment feel. Plus it’s catchy. Clearly, I owe Vicki Greenwood a latte. This one’s hers, too. Night Crawler – Judas Priest (5:44): Not quite ready to rock out to Iron Maiden on the Spin bike? This head-banger is perfect for high intensity intervals and you never know… you might find you have a few closet metal heads in your class. This one is from Kathy Schiebe Leggitt. This is Hallowe’en – Marilyn Manson (3:22): Not exactly subtle, but that’s why I like it. Another from Kathy. Somebody’s Watching Me (Freakmatique Cut) – DJ Brian Howe (3:23): An old standby I use for jumps. And I can’t resist a link to ChrisSpin’s hot-off-the-presses Hallowe’en playlist here. As long as we’re on spooky, I am loving that my daughter (age 3.5) is really into Scooby Doo at the moment. I downloaded the first season (1969) onto our iPad and we also have a Scooby Doo book that has become a go-to favourite for bedtime stories. They are just the right level of spooky for a kid – it’s comforting that the monster is always captured and unmasked as a plain old person at the end. 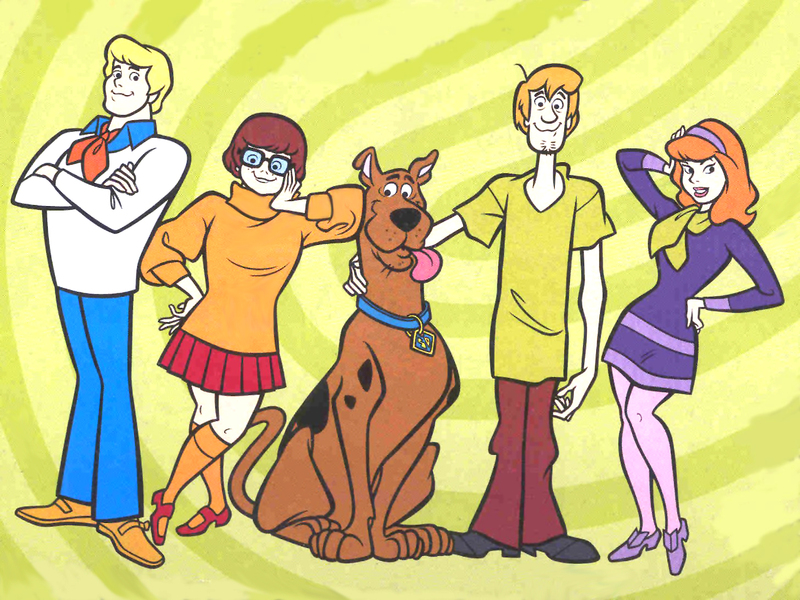 I remember enjoying the show when I was little and I love that I can share Scoob and Shaggy and the gang with her. Great songs! Check out my weekly spin playlist! I hadn’t heard of this one. It has kind of a ponderous, Imagine Dragons feel to it. Thanks Jen! Cynthia: I’m a “devout” follower to your blog and always find fresh inspiration for my classes. This year I did my first Halloween ride since the 31st fell on class day. I started with the classic Ghostbusters, then added some music mixes I purchased on itunes. I included the XFiles theme and had everyone guessing whose show that music belonged to. Also included a Thriller mix, I Want Candy, Loba by Shakira (it’s pretty halloweenie), Katie Perry’s ET, Highway to Hell, among other. Class cooldown ended with a vampire serenade song I found in my files from a previous year Halloween Party. My people had a blast….all of this at 5:30 am. Brenda, that sounds like a blast! My hat is off to every single instructor who comes out in the dark to teach early morning classes to dedicated riders. I’ve subbed a few of these over the years and I love the crew that comes out early. They mean business. So glad that you enjoy the blog and for the song suggestions. Loba is a great Shakira song. 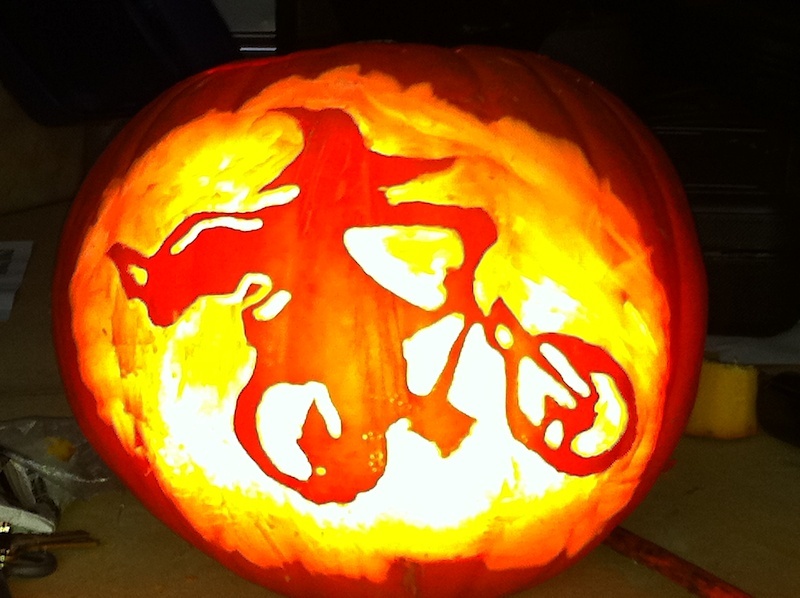 I did Hallowe’en rides all that week but really mixed it up as I have a handful of riders who come to most of my classes. They claim they don’t mind hearing the same songs all week but I feel self-conscious running the exact same ride, even though I don’t mind it either and would totally do it if I didn’t see the same faces in the crowd. Thank you for helping me with my Halloween mix this year. Scooby Doo is the best!!! I am in my 50’s and I use Scooby Doo checks. Omg Lisa I am totally the same! Rpm is totally cued by the music for me! Drives me insane in others classes when you hear a climb and they are doing sprints!!! I’ve had to walk out of classes before!!! You aren’t alone girl! So sorry – I didn’t see these comments ’til now. For me, RH = climbing at a steady cadence “up a hill” and then picking up cadence and “rolling down.” Depending on the resistance set, and the effort level I’m targetting I may or may not cue a change in the gear. But RH = cadence changes. CH means periodic change in position, from Standing to Seated climb (or vice versa). Cadence usually stays the same, and the position change occurs much less frequently than in “jumps” or “lifts” (i.e. maybe 2-3 changes per song/~3mintues). Resistance change is optional. Thanks Cynthia…like the song suggestions and guest post. Sounds like Scooby-Doo is evergreen material too! It’s also becoming clear to me that Spinning folk REALLY like their Halloween themed rides. Some freaky stuff on Twitter and FB. Have a great week and Halloween.